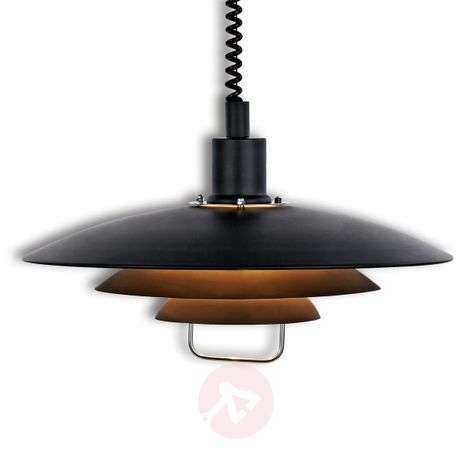 Three black metal elements in various sizes ensure that the Kirkenes hanging light can be optimally used in the living area. The light shining downwards casts a pleasant light in the respective room. 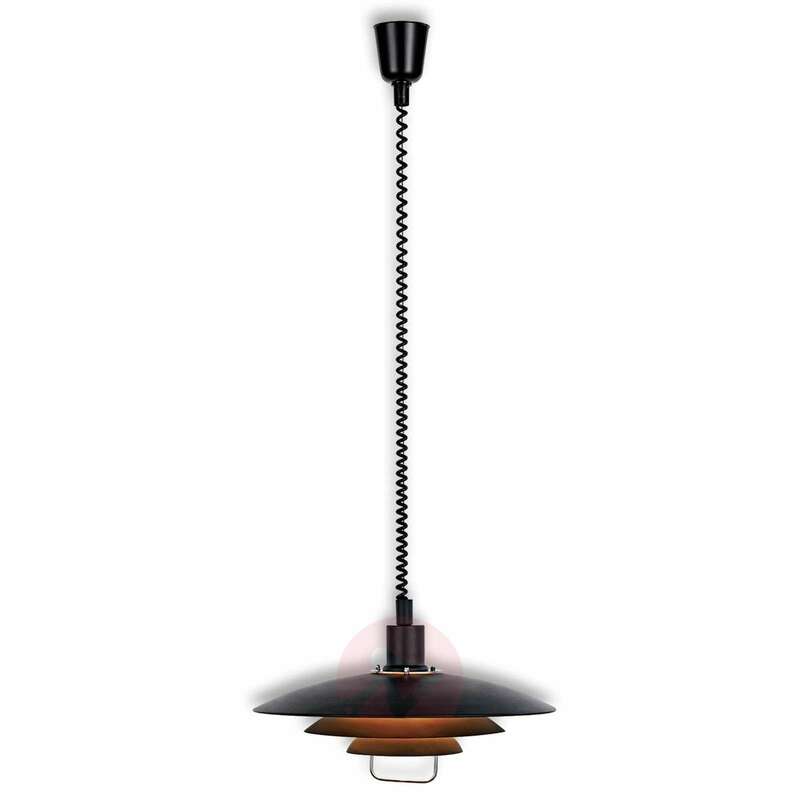 Moreover, the height of the Kirkenes hanging light can be adjusted. The height can be adjusted from 80 cm to 190 cm with the help of the metal element, to which the lampshade is attached.